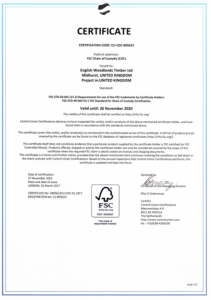 We hold chain of custody timber certification for Forest Stewardship Council® (FSC®) FSC-C102802 & the Programme for Endorsement of Forest Certification™ (PEFC™) timber to be able to provide assurance and traceability on the sources of our imported timber. 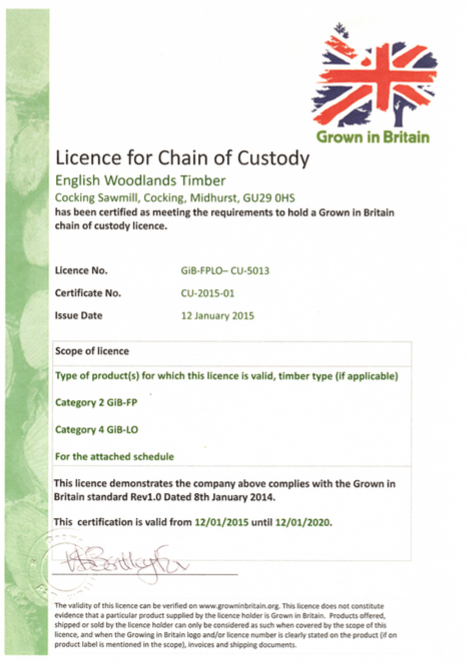 Our Grown in Britain stock is sourced from forests felled under license from the Forestry Commission or as part of a management plan agreed in accordance with the UK Woodland Assurance Standard (UKWAS). 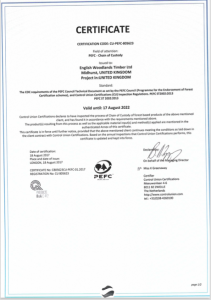 This standard provdes the central component of the forest certification programmes operated in the UK by the FSC® & PSFC™ schemes. Please visit the Grown in Britain website to find out more. 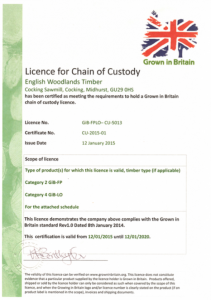 If you have any questions about any part of the timber certification please don’t hesitate to ask (Tom is the best person to talk to… 01730 816941). Our certificates are here for your reference.